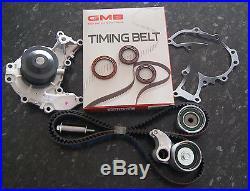 This listing is for: an OEM timing belt kit with a water pump. 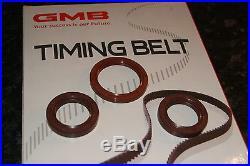 GMB bearings High-temp seals Aftermarket water pump and GMB belt. We do not substitute products All parts of this kit are the genuine brands listed. 3.2L, V6, 24V, DOHC, MPFI, MX, EngCode: 6VD1. Feb 1998 - Sep 2004. 3.5L, V6, 24V, DOHC, MPFI, U8, EngCode: 6VE1. All parts should be fitted by a professional and fitted to vehicle specifications. The item "Timing Belt Water Pump Kit fits Holden Jackaroo Frontera 3.2 & 3.5 V6 1998-2004" is in sale since Saturday, April 18, 2015. This item is in the category "Vehicle Parts & Accessories\Car & Truck Parts\Engines, Components\Timing Components". 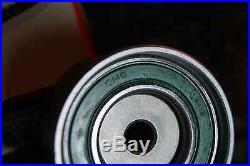 The seller is "bearings_and_engineering" and is located in Hemmant, QLD.